Today, I have another layout for you, created with Flying Unicorn's September Kit of the Month. I started with one of the Prima papers, and punched the top and bottom edges, then folded over the punching. I then matted it on the BoBunny Double Dot paper. I also added a few torn pieces from the 6 X 6 paper pad. I ran Dimensional Pearls through the stencil, under where I was going to place my pic, as well as in the bottom corner. For the matting of my pic, I layered some of the journaling cards, and more of the 6 x 6 paper. I layered a fussy cut piece, and a sticker over the pic, and then added my flowers and a Flying Unicorn Adornment. For the bottom corner, I did more fussy cutting and layered it over more journaling card pieces as well as paper from the 6 X 6 pack. To make the chain for the bird cage, I used an artist pen, and then adhered a flower and some crystals. The title was painted with Inka Gold in Copper, and then I added more of the green dimensional pearl here and there over top. I kept this layout pretty simple enough, as I wanted the papers and the pic to really stand out. I have another layout share for you, created with Flying Unicorn's August Kit of the Month. I kept this one pretty simple....meaning no mixed media. The papers were just perfect for this layout of my newest grand-son Jackson, so I layered them up!! I added a couple of doilies from my stash in the layers. The butterfly button is from a past kit, and worked perfectly here. I also cut apart a Creative Embellishments Wrought Iron Fence chippy, left it naked, and layered it under my flowers. The denim flowers, I found while out shopping with my DD in Vermont, and they are perfect complement to the large apricot blooms from Prima. I added more pieces of the fence, and a word from 13 Arts (from a past kit as well). The Wellington diecut was purchased from the store, and is one of my fave baby boy embellishments, so I had to include it. I layered more denim flowers among the Prima Apricot blooms......such a lovely combination. Another button finishes off this beautiful baby boy layout. I have another project share for you, created with Flying Unicorn's July Kit of the Month. When I first saw the kit, I knew that I was going to save a bunch of products to make myself a mini album. You see, I went to visit my Daughter and Grand-kids in Vermont, before they left for Japan....hubs is in the Army. I was able to get a few projects done before the reveal, but still had the mixed media products, and tons of paper and embellies left, so it was perfect!! I had also decided to include some goodies I purchased, and older products from my stash......I'm trying to use stuff up!! Right, as if I can use it all up in my life time! For the cover, I used the two chipboard canvases, and layered them over each other. The larger piece was black, and I used that to my advantage....colors look much brighter on a black background. I used the stencil sand light molding paste, and then slathered on Ginger Coral and Tea Stain Color Bloom. Once dry I rubbed on a bit of the Ancient Coin Paint. I also painted the edges of the top piece, and added a piece of the 49th & Market papers. I used a grungeboard 'V' from Tim Holtz, and gessoed, then sprayed it with the above mists and Cobalt. I layered my flowers and embellies over top, tucked in some fussy cut flowers, and then added some fun fur yarn for more interest. I found a reproduction of an old map of Vermont, wrapped it in a piece of fabric, and then added some flowers, embellies and more grungeboard. All of my pages were distressed with Ground Espresso Ink. This is the back side of the map page, which I folded over. The doily is the leftover from the next page, and is from my stash. I then added a piece of paper, and a few embellies. I decided that I wanted a piece of transparency in the mini, and since I didn't have any fancy ones in my stash, I made my own. This is regular transparency that you can write on, I just stenciled over top with the gold paint and stencil from the kit. Then I addded a piece of the doily, some ephemera and glued it in an 'L' fashion, to make a pocket for the tags. I just dated myself! LOL!! Anyways, I founf this little book at a museum we went to, and I couldn't passs it up. If you want to know how I added it in as an insert, let me know, and I'll do a tutorial. These three pockets were made with Prima Vintage Emporium papers, I left the top open, so I could add more pics. Two pieces of the 49th & Market Papers were glued together. I didn't add anything to this page, as I wasn't sure how I would use it. Besides I like looking at the flower. The corrugated window, probably about 10 years old, if not more, was made into a photo pocket by layering it over a 6 x 6 paper. Another pocket page made with the Prima papers....I had intended for the pocket to be on the side, but, ended up putting the binding holes in the wrong place. Love the water pump!! I added a bit of Light Patina and Green Gold Acrylic Paint, by rubbing it on with my fingers. Another pocket page, again I left this one rather plain. The right page is another piece of grungeboard, that I had embossed a long time ago for another project. I added a piece of paper to this side. The left side is the grungeboard, slathered in all of the above mists, and some Coral and Gold Paint. The right side pages, are pieces cut from a bag, that my purchases at the museum, came in. I cut it down to make the two pocket pages, and added the packaging from the 49th & Market flowers as tags. The right side page is an envelope, made with the 49th & Market papers, and I added some of the Prima papers, to make photo mats. More pockets made with small envelopes. I stamped them and added ephemera bits from the papers. Of course I added tags, and apparently forgot to add twine...lol!! The inside back cover, I glued on and attached the twig with hemp cord from the kit. And then glued on some pretty velvet flowers. The back cover, kept very simple. I have to say that this was one of my fave kits ever! I have used up every last bit of paper, and the majority of the embellies. I am down to the alpha sticker page from the Prima papers (I'll use those when I add my pics), a couple of flowers and cork stickers. I'd say I did very well in using up this kit!! And I used up a few bits and pieces from my stash. I have another layout share, created with Flying Unicorn's June Kit of the Month. Using the Prima Salvage District papers, I tore one of them at an angle, layering it over the top and left side. I left quite a bit of room on the torn side, to tuck in torn strips of the 6 X 6 paper, as well as some fussy cut pieces. I also tucked in some fussy cut flowers from the 6 x 6 papers. All of the edges were treated to Tim Holtz Distress Ink in Pumice Stone. You can barely see it, but using the same ink and the Prima stamp, I added stamping all over the bottom part of the layout. Using the stencil and some white cardstock, I sprayed the soft teal mist, over the word 'love' and let it dry. Then I offset the stencil, and pounced on some of the Green/Gold Prima paint. Once it was dry, I went around a few letters, with a Tim Holtz Distress Marker in Hickory Smoke. I then fussy cut the word, and layered it with more fussy cut pieces and my flowers. The green and aqua flowers, are new faves!! I also tucked in a few sprigs punched from a Martha Stewart punch and white cardstock. To finish off my layout, I added a couple of wood veneers and some crystals. And then went around the outside edges with Prima Green/Gold Paint. June Kit of the Month - Prima Salvage District Papers, 6 X 6 papers, Prima Color Bloom in Soft Teal, Prima Clear Stamp, Prima Salvage District Clear Stamp, Prima Salvage District Flowers (aqua), Petaloo Flowers Garden Rosettes in Green, Flying Unicorn Adornment, Prima Salvage District Wood Veneer, Prima Acrylic Paint in Opal Magic Green Gold. I have 2 cards for you today, created with Flying Unicorn's May Kit of the Month. My first card is very nautical! I used papers, stickers, chipboard stickers and brads from Prima French Riviera Collection, and some stickers from Authentique Explore Collection. First I made my card base, and offset cut the top section, about 1/2 inch in, so I could add torn paper over top. Next a layer of burlap, and then another layer of paper. Next I added the selvage edge of the burlap, as 'rope', and layered those down, and then adhered all my bits and pieces over top. I sprayed one of the Prima flowers with Prima Color Bloom in Cobalt....love that color!!! I added a few more flowers from Prima, and added a Flying Unicorn Adornment. To finish the card, I edged some of the papers with StazOn Ink in Timber Brown. I made another offset card, and used Prima's Rose Wall Die, with white cardstock....there's actually two layers, to give the piece some strength. I added a sticker from the Prima French Riviera Collection, as well as one of the butterflies. I did line both cards with additional paper from Prima, just to add more interest to the right edges of the cards. 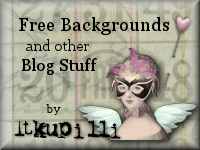 You might be surprised as to what products I used for the background work!!! Don't you just love the two-toned spray on the leaves?!! I love the elegance of this cover!! So do come by and join in all of the fun!! !